“Wreck-It Ralph.” “Frozen.” “Big Hero 6.” There’s no denying Walt Disney Animation Studios is on a roll, both creatively and financially, but can the forces behind the studio’s recent resurgence as a heavy-hitter keep the momentum going? 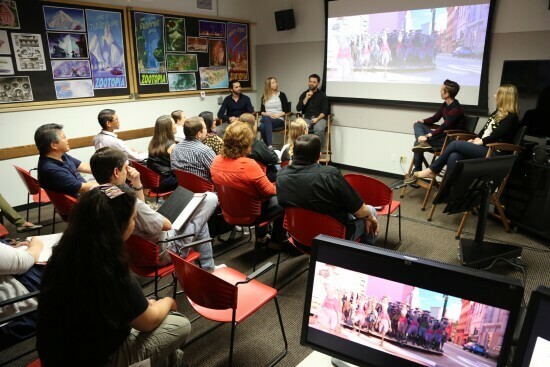 The team working hard to bring you “Zootopia” next spring certainly hopes so. At a recent media preview event at Walt Disney Studios’ locations in both Burbank and North Hollywood (where the animation department has temporarily relocated to a converted warehouse during the usual building’s renovation), a select group of press were treated to an in-depth look at the creative process behind the forthcoming movie. 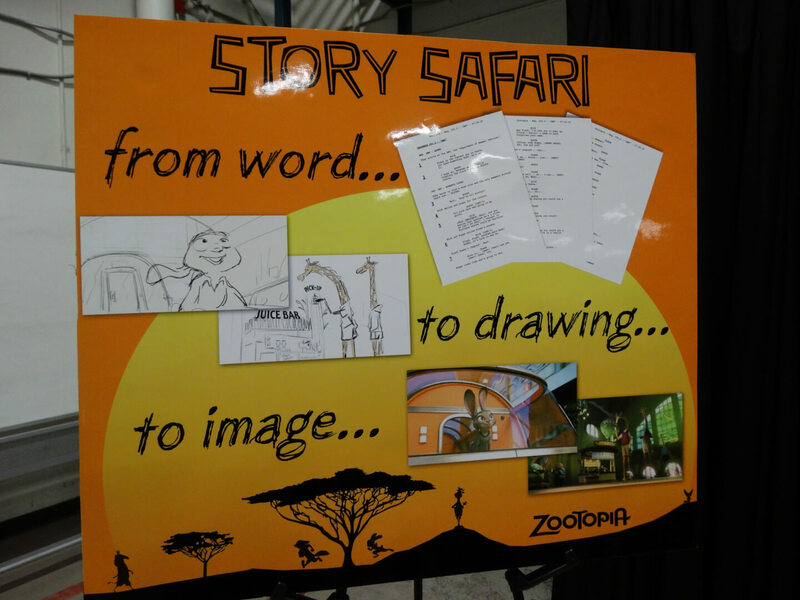 “Zootopia” takes place in a thoroughly modernized world where human beings have never existed. 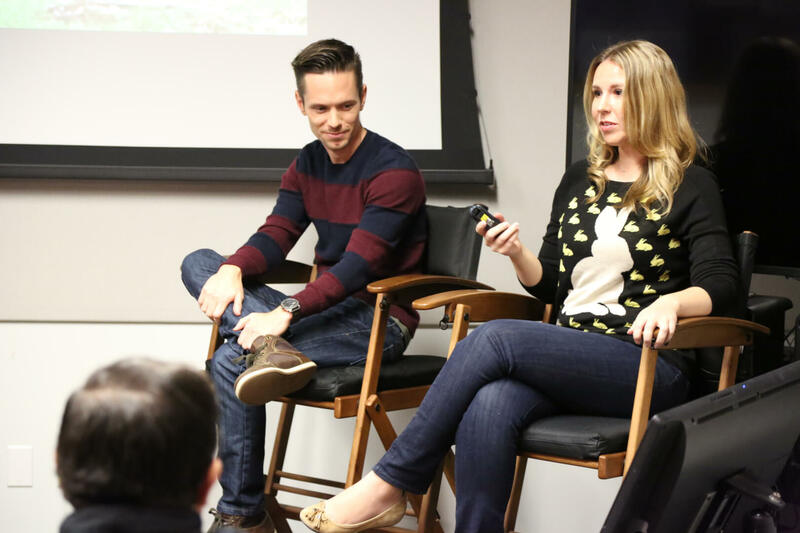 That is, animals have evolved to speak, walk on their hind legs, wear clothing, and use technology. And the city of Zootopia was built by animals, for animals. If any of this sounds familiar in the context of the Walt Disney Company, it’s because the concept is perhaps just a little reminiscent of the cartoon world that Mickey Mouse and his friends inhabit. In “Zootopia,” however, it’s the specifics that set things apart. You see, in “Zootopia,” size matters. Where the diversely-animalian Mickey, Donald, and even their somewhat taller pal Goofy were all roughly the same human-scaled size and shape, the animals in Zootopia (both the city and the movie) all fit the scale of their real world counterparts. For example, a giraffe in “Zootopia” is roughly ninety-four times the height of a mouse, and the city around them is built with those size differences in mind. Buses have multiple sliding doors to accommodate passengers of various heights, there’s a miniature subway for rodents to cross under the street and avoid being trampled by larger animals, and even a waterway for aquatic creatures. 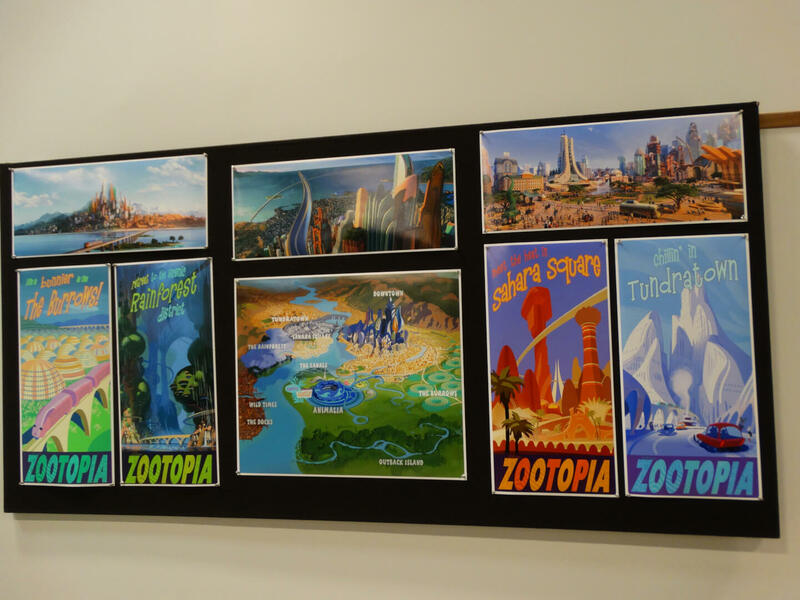 It should be noted that all animals in Zootopia are mammals, just for the sake of simplification, but also that the existence of foreign cities inhabited by other biological classes was indeed hinted at. And the city of Zootopia itself is divided into individual areas, each of which replicates a particular climate or ecology via a complex artificial weather system and large barrier walls that divide the zones (see? I told you the specifics were unique). There’s Bunny Burrows– Zootopia’s equivalent of the countryside (where our story starts,) the Las Vegas-inspired desert resort of Sahara Square, the deep freeze of Tundra Town, and the enormous, lush greenery of the Rainforest District. All of the above areas are united in a central hub called Downtown, in an apparently unintentional nod to Disneyland’s theme-park layout. 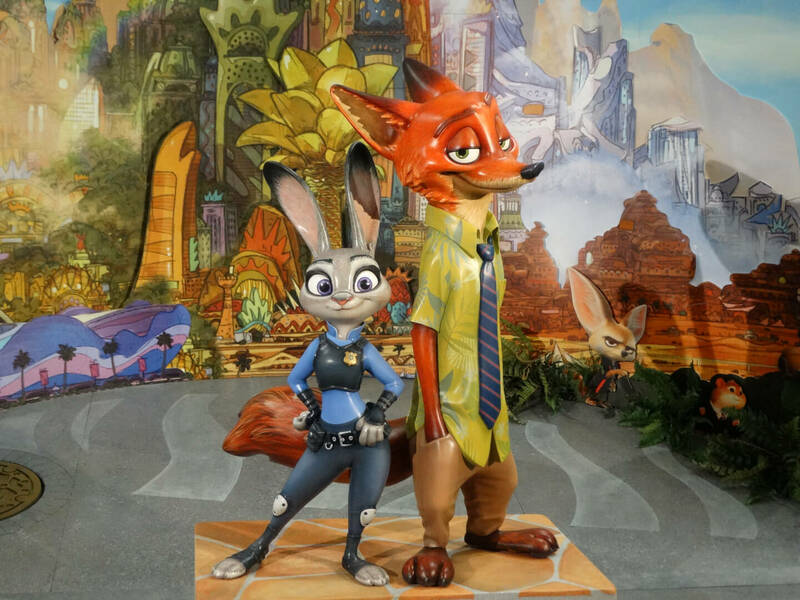 The plot of the movie centers around a plucky, optimistic young rabbit named Judy Hopps (voiced by Ginnifer Goodwin of “Once Upon a Time”) who moves from the Burrows to the big city in order to pursue her dream of becoming Zootopia’s first bunny police officer. Though her dreams of fighting crime are sidelined when she’s assigned parking-meter duty, she soon becomes involved in a much larger, more nefarious case after running into a sly con-artist fox named Nick Wilde (Jason Bateman.) 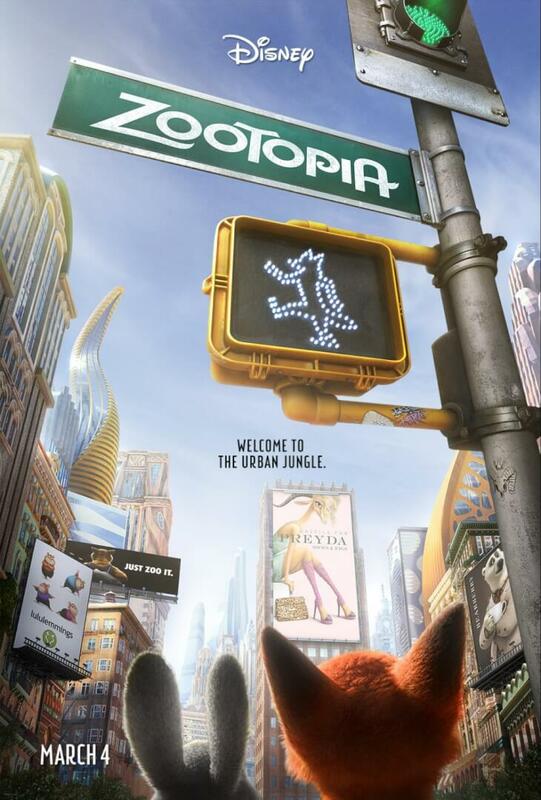 The two unlikely partners set off on an adventure that takes them through all of Zootopia’s various landscapes together. 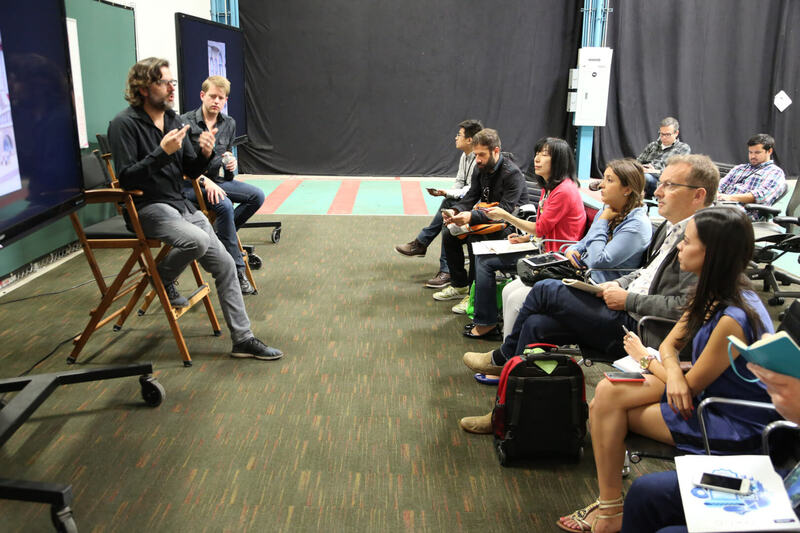 At the press event in Burbank, we were introduced to the world of the movie by directors Byron Howard and Rich Moore, who recalled pitching the original idea to chief creative officer John Lasseter, researching the animals at Disney’s Animal Kingdom park in Orlando, and journeying to Kenya in Africa to get an up-close-and-personal look at animals in their natural habitat. Special effort was put into translating the animals’ natural walking/running movements into two-legged walk cycles for the characters’ animation, and in-depth attention was paid to details like fur color and wind effects to make the world of “Zootopia” feel alive. The writers and directors also took care to incorporate an almost “Ratatouille”-esque “anyone can do anything” theme into the movie, as animals in Zootopia tend to stereotype each other into particular roles. 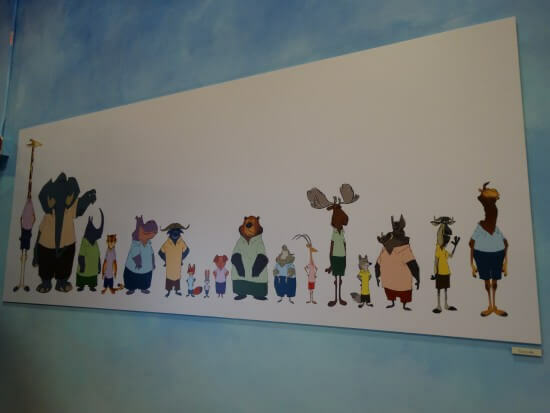 We were shown several clips from the movie (some of which had been shown before, in slightly different forms, at the D23 Expo back in August) including a very funny scene at a DMV run exclusively by maddeningly-plodding sloths, and a meeting with a “Godfather”-inspired mafioso shrew named Mr. Big. 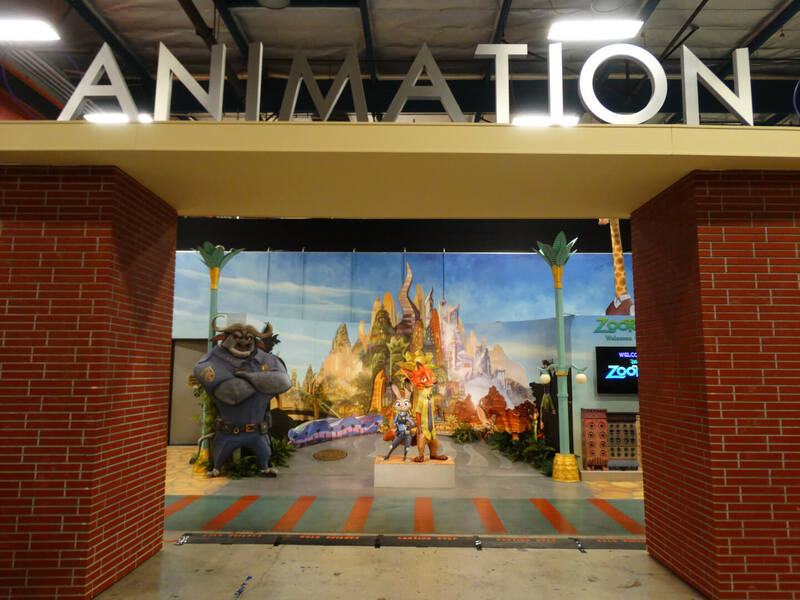 We were then shuttled to the North Hollywood studio where broken up into smaller groups and rotated through four different areas of the development and production processes: Story Safari, Character Design, Anim(al)ation, and Environments. 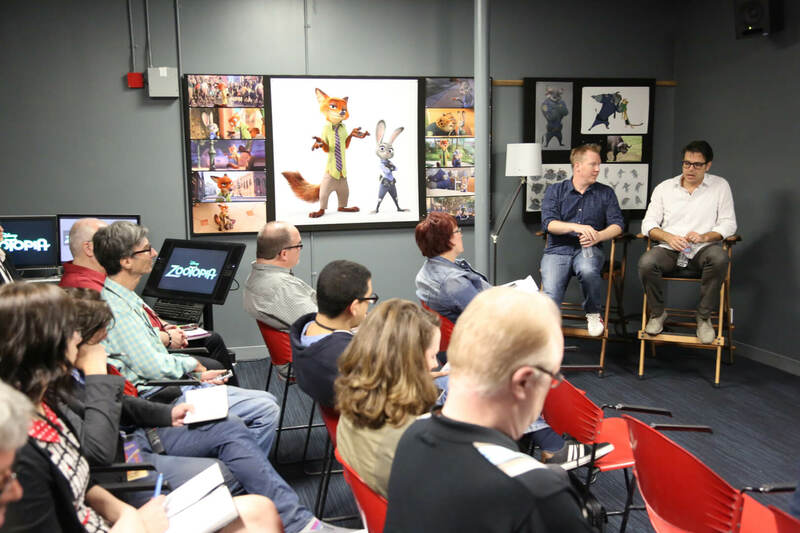 The story group, consisting of writer and co-director Jared Bush, writer Phil Johnston, story artist Marc Smith and head of editorial Fabienne Rawley, spoke about how the plot and staging of “Zootopia” had evolved throughout the process of filmmaking, and showed an earlier version of a scene we had looked at back in Burbank, about Judy calling her parents after her first day on the job as a meter maid. 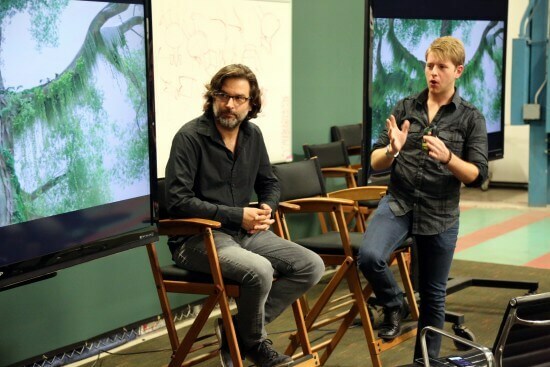 They felt the deleted version had made the movie feel “too mopey,” so they redrew the storyboards, rewrote the dialogue, and re-animated the scene to its new shorter length. Another scene featuring an elephant-operated ice cream shop had been rewritten to make Judy come across as a smarter, more active character. 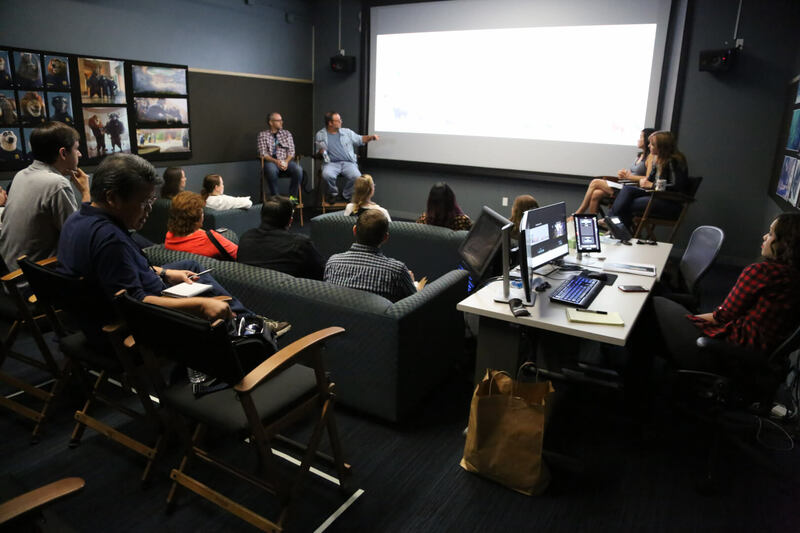 The group noted how the medium of animation allowed for more continuous, fluid changes to a story that would by nature be more restricted by live-action productions. 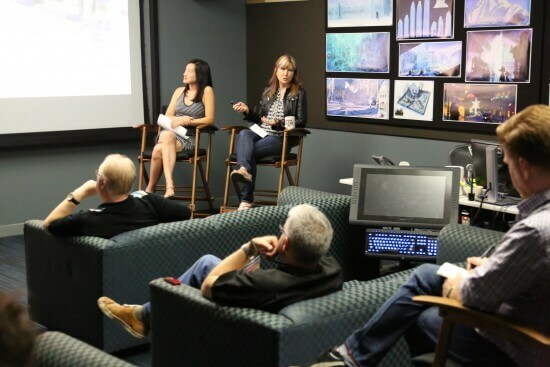 The character design team, led by supervisor Cory Loftis, character look supervisor Michelle Robinson, CG supervisor Dave Komorowski and simulation supervisor Claudia Chung Sanii, discussed the challenges that scale, clothing, and musculature presented in “Zootopia.” They also talked about a special effects tool called the iGroom that was designed to comb the characters’ virtual fur and give each animal its own unique hair patterns and imperfections. We were shown live-action footage of a fox with wind blowing through his fur that the animators used as a reference, and you can easily see the difference it made in the nearly-finished product. The Anim(al)ation presentation showcased a similar attention to detail, with head of animation Renato dos Anjos and animation supervisors Kira Lehtomaki, Nathan Engelhardt, Jennifer Hager and Chad Sellers all expounding on their trip to Africa and the need to capture the essence of each animal in the movie. Herd movements were analyzed and incorporated into groups in the backgrounds of many wide group shots. The animals’ methods of eating were also a major element in making Zootopia seem more realistic: a moose, for example, brings his head and lips closer to an popsicle he’s holding, instead of using his arms to bring the popsicle closer to his face. We were introduced to several more key characters such as Bogo, the intimidating buffalo police officer, and an out-of-shape cheetah radio dispatcher who’s obsessed with a gazelle pop musician played by Colombian megastar Shakira. 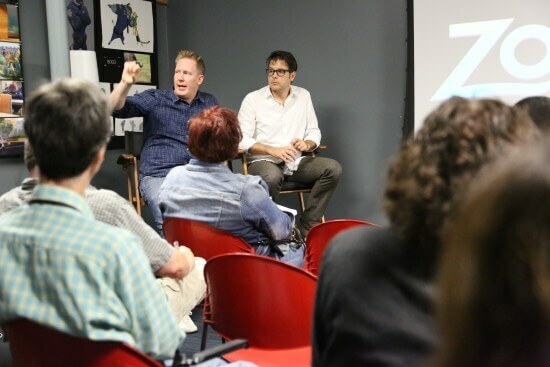 The animators finished their portion of the day’s events by revealing just how much of the voice-actors’ physical performances made it into their animated counterparts’ actions on-screen. Hint: it’s a lot! 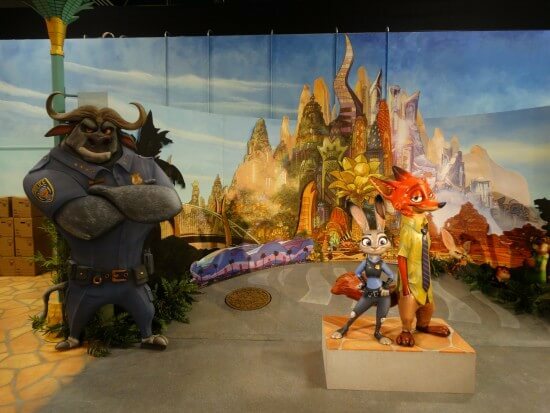 Overall, I came away from this media event more excited for “Zootopia” than I was after its presentation at this year’s D23 Expo. After all is said and done, I believe it may indeed feel like more than just your average talking-animal movie, as it features impressive world-building, elements of potboiler mystery, and of course more than a few scenes of riotous comedy. 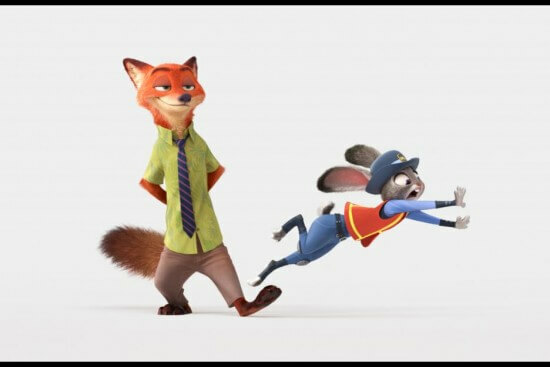 I also enjoyed the little riffs on iconic scenes from popular culture, such as the aforementioned “Godfather” homage and a chase through the tiny mice-only neighborhood of Little Rodentia that harkens back to “Godzilla.” If the clips we were shown today (along with the testimonies of the talented creative team) are any indication, “Zootopia” should fit right in among the latest crop of Disney animated features: a visual treat with likeable, funny characters and a whole lot of heart.